They are a passionate team of sports dietitians, dedicated to get your body in the shape you want it to be! Since its conception ten years ago in a discussion over several beers in the Handle Bar Tavern, the topic of this race has been a fixture of every track cyclist’s conversations. Debate has raged as who would be, by weight, the strongest rider. This unique handicap has been one that bucks the trend of dieticians all around the world. The handicap has been by weight, whereby you are rewarded with a better starting position the heavier you are. 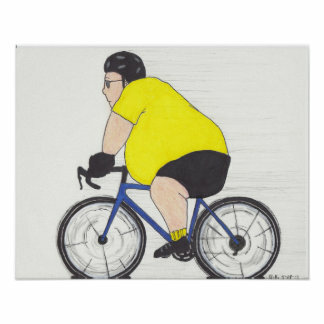 Changes were made in 2010 to incorporate our shorter statured fat riders to ensure our fatmans wheelrace was reserved for those of high fat content rather than those big tall guys of high percentile muscle content. So again in 2018 the qualification will be on BMI (Body Mass Index). This should aid our short podgy friends. • Entrants will be measured at the velodrome. • Entrant’s weigh-in will be done in cycling race clothing with no shoes. A pat down will take place for any contraband (extra weight). • Your height and weight will be entered into the laptop to determine your BMI. • The top 10 BMI’s will qualify for the race. So who will be determined the Fat-Mans Champion for 2018? Be at the Dunc Gray Velodrome this Friday from 7:30pm to find out.